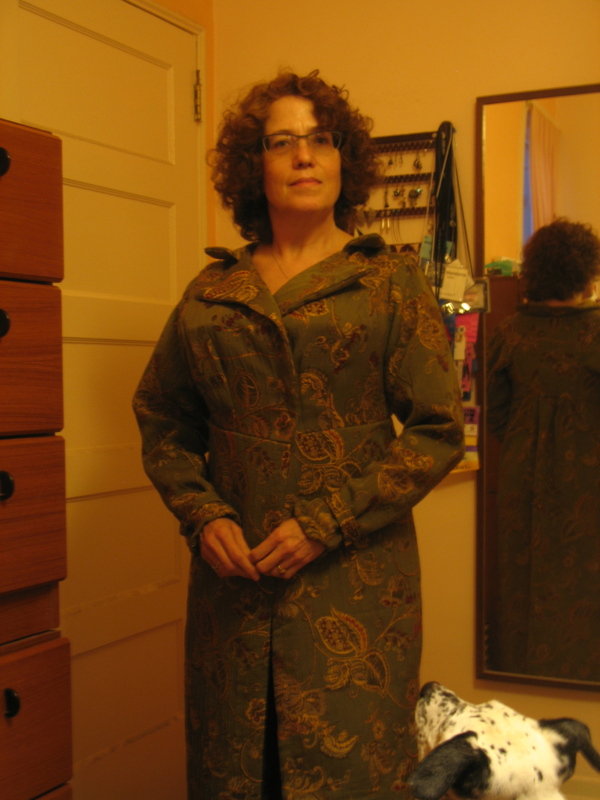 I made a muslin toile (a scratch try-on version) beforehand to make sure I was using the right size. 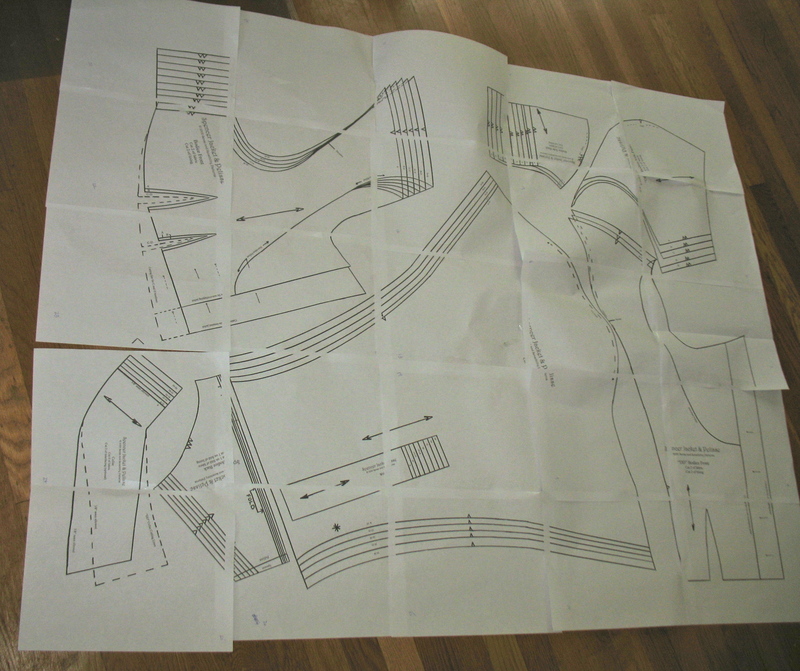 Once I was reasonably secure with it, I cut out what the pattern calls my “fashion fabric”. 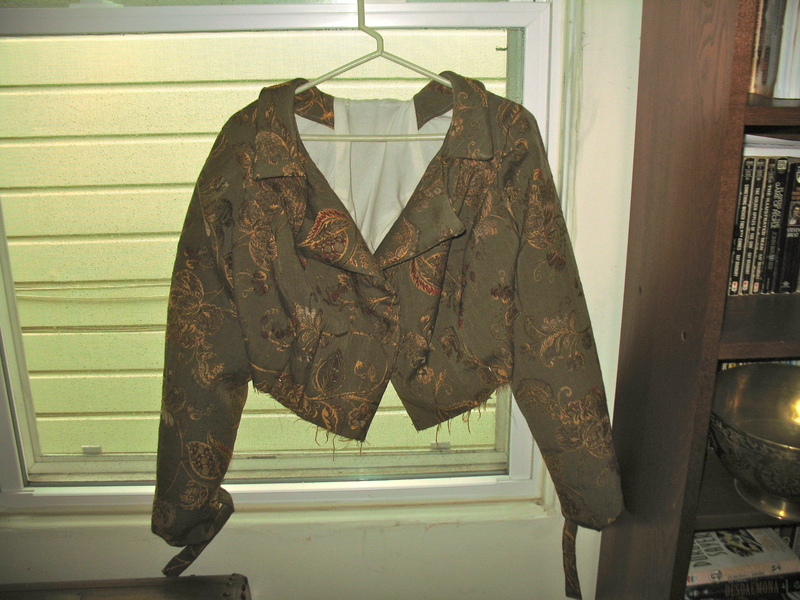 In turn, I used the muslin as the lining of the jacket bodice. 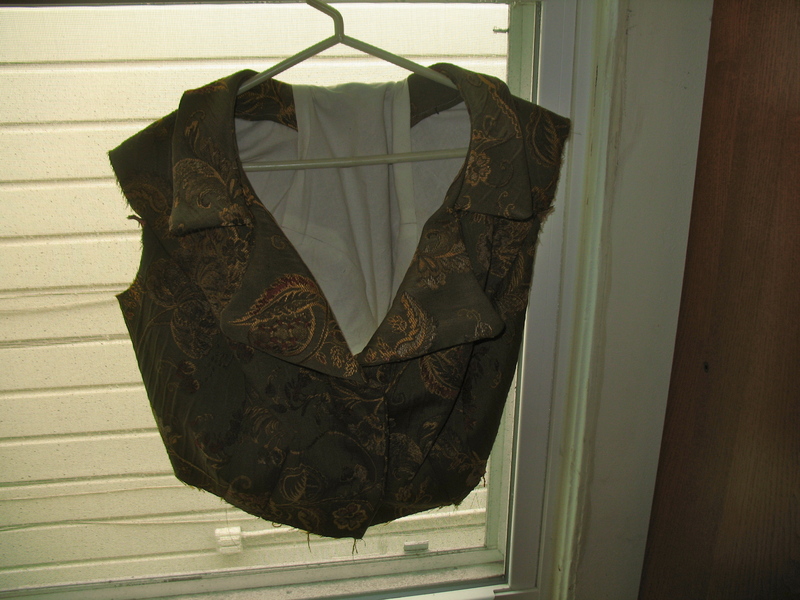 I put together the bodice half one night and half the next morning–and discovered what I will henceforth call “Robins’s First Rule of Sewing”: Friends Don’t Let Friends Sew Tired. 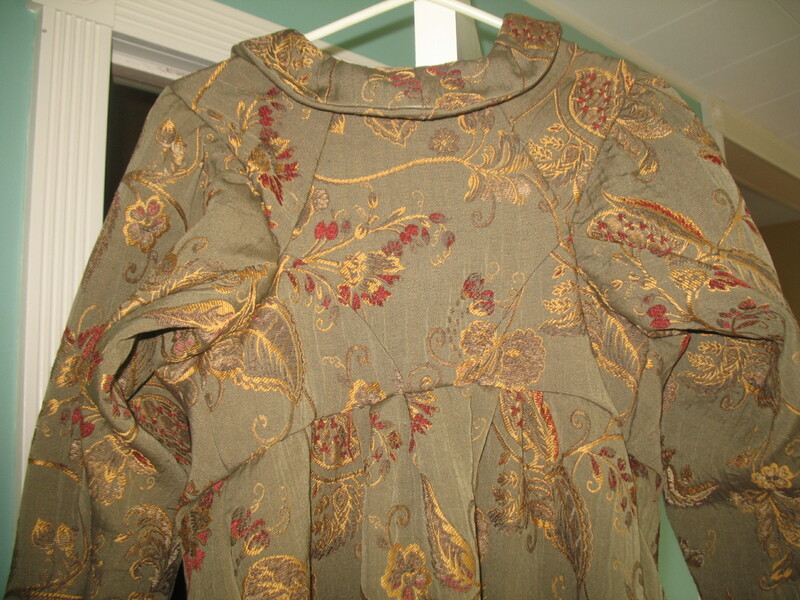 I had sewn two pieces of the toile bodice in upside down, and pinned the two front pieces on the wrong sides (which would have worked had my breasts had about 18 inches between them, but as they do not, didn’t). 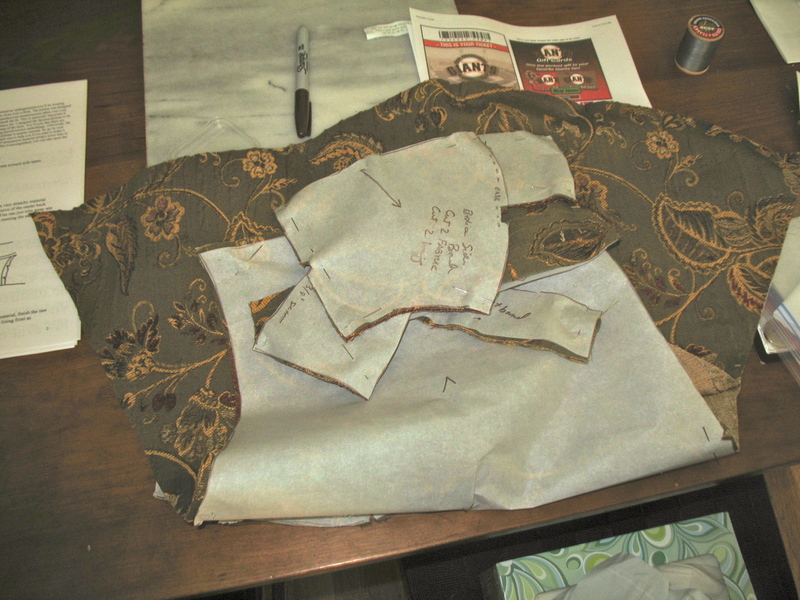 So I pulled the seams, repinned and went onward, but I did feel just a little…stupid, I think, is the term. 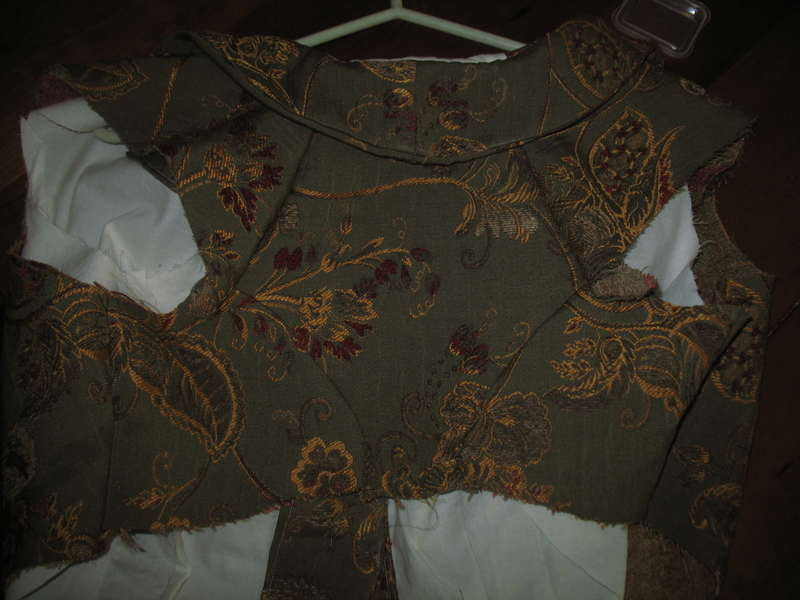 With the collar made and the bodice stitched, I put in the lining. 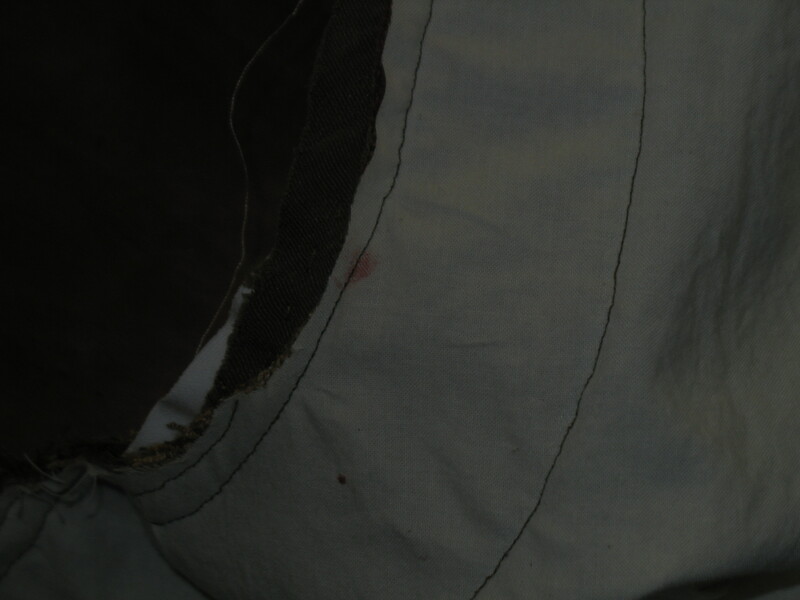 And once again (although not with a pin) I managed to bleed on the damned project–fortunately, on the inside of the bodice lining where no one but you and I will ever know about it. Now the only major thing to do is attach the skirt. Look! It looks like a coat! 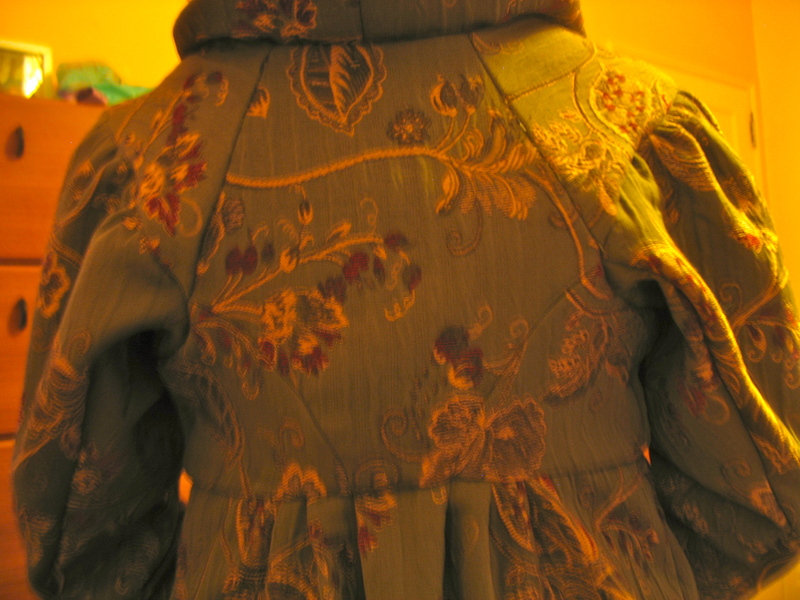 I particularly like the back of the jacket, which has that lovely structure that I associate with Regency gowns: a diamond-shaped panel to which all the other pieces are attached. And a slightly longer shot to show how long it is. It’s still missing the buttonholes, but everything else is done. Now I have to make the dress to go under it, but that’s going to have to wait until I get back from Readercon, and the pattern for the dress (on paper, this time) comes in the mail. 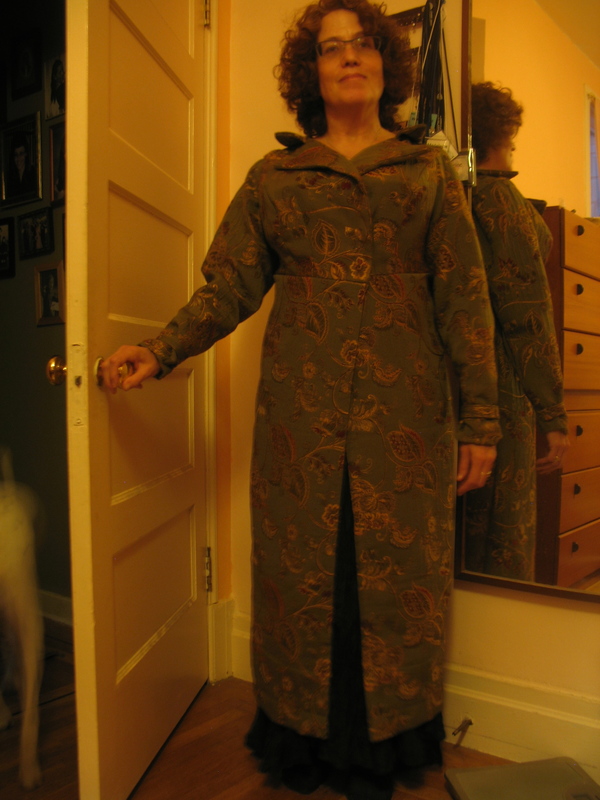 For the moment I’m going to enjoy the possession of the coat, and the lack of pins, thread and snips of fabric underfoot. 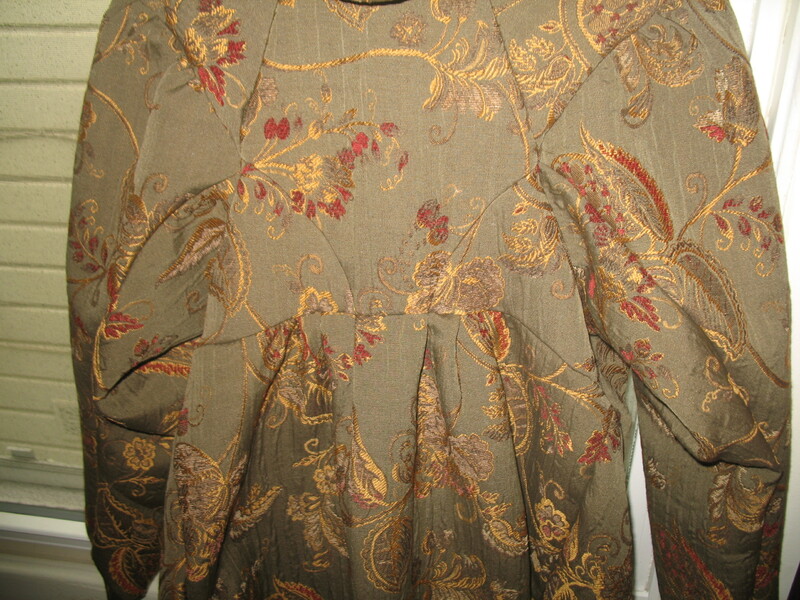 This entry was posted on Friday, July 15th, 2011 at 12:13 am	and posted in Regency sewing, Research. You can follow any responses to this entry through the RSS 2.0 feed. *UTTERLY* gorgeous. I am in awe!